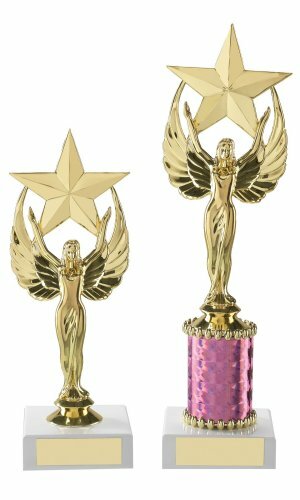 Any Sport/Event Female Oscar Style Achievement Awards. Each trophy comes with a free engraved plate with your required text. Available in 4 sizes, 8 inch, 9.5 inch, 11 inch and 12.5 inch.